We recently received a question from a guy who just moved to Westlake from Dallas, Texas, and wanted to know where to find some convenient places to bicycle on the West Side of Cleveland. If you're looking for a longish road route, with scenery and food options along the way, we've mapped out a suggested route from our store in Rocky River, out to the city of Vermilion and back, which we've dubbed the "Rocky River Vermilion Voyage." 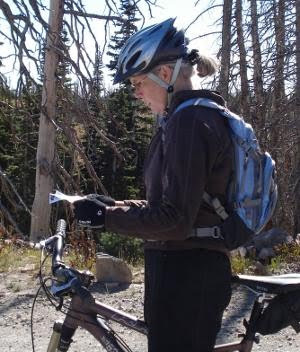 No matter where you live or visit in Northeast Ohio, and whether you like to ride the roads, singletrack mountain bike trails, or bike paths, you can find tips on the best places to ride in the Where To Ride section on our web site. Check it out! 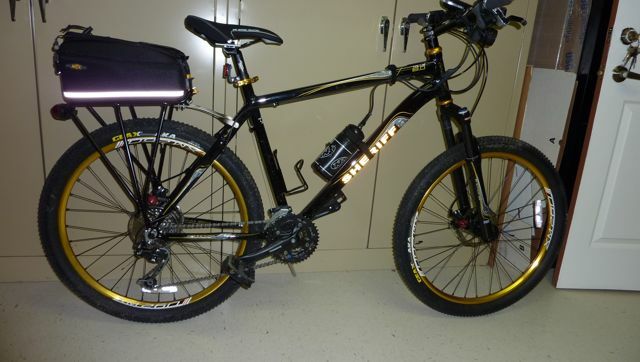 A 2010 Raleigh Talus 8.0 mountain bike was recently commissioned into service for duty by some of our finest public servants! 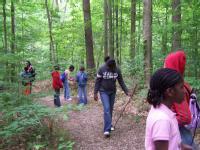 Gloria Glens is a community situated near Chippewa Lake in Medina County. The village is patrolled by the Medina County Sheriff's Department. 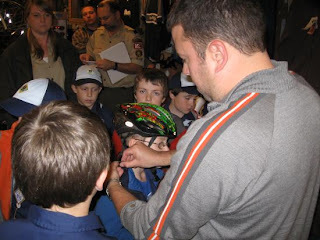 When they originally set up their bicycle patrol unit some time ago, they shared a bicycle with nearby Lafayette Township. 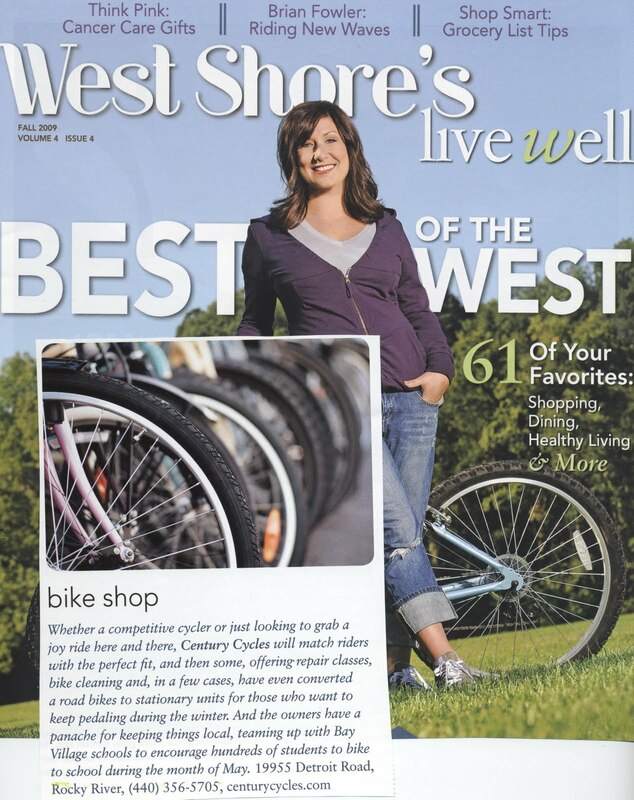 Due to scheduling demands, they decided it was time to get their own vehicle, and had originally looked at a police-specific Smith & Wesson model, but decided to see what Century Cycles, their hometown bicycle shop in Medina, had to offer. 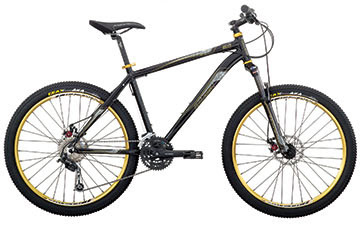 The Raleigh Talus 8.0 provided a better-equipped bike at a lower price. Officer Mike Hereda of the Gloria Glens force says that they love the comfort and performance of the bike, plus the visibility and access to the neighborhood that it provides them. He says citizens are much more able and willing to approach and talk to an officer patrolling on the bike, compared to sitting in a police cruiser. An unexpected benefit came after a recent tornado passed near the area; the resulting road closures meant that the bike was the only vehicle able to access the community! Our thanks go to the Gloria Glens Council for approving the purchase, and to the Police Department for sharing their story and photo with us! If you'd like to test out the Raleigh Talus 8.0 for your own adventures, we've got them in stock in all three of our stores! 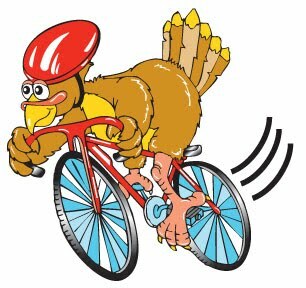 From all of us in the Century Cycles family, we hope that you and your family have a Happy and Safe Thanksgiving! 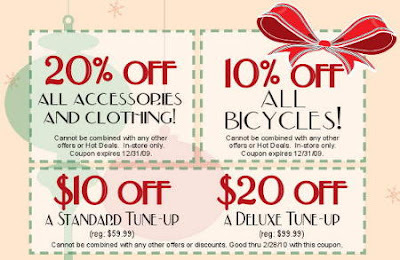 Print the coupons below and bring them into any of our three stores for crazy deals on bicycles, clothing, accessories, and even tune-ups. The product coupons are valid now through December 31, 2009 -- good for the whole holiday season, NOT just Black Friday -- and the tune-up coupons are good through February 28, 2010! Join us in the donning of holiday apparel and get cool free stuff! both are our way of saying "ho ho ho!" New for the season and just in time for your holiday gift shopping, Century Cycles introduces a new line of bicycle bags from Detours. Look for them in our stores beginning today! Detours makes a wide selection of practical and stylish cycling bags for every rider. Whether you're a cross-country tourist, an everyday commuter, or you just want a great way to carry your stuff, you'll find a Detours bag, pack, or pannier that's perfect for you and all your two-wheeled adventures. Since their beginnings, Detours has designed a variety of fine products for a wide range of riding needs and advocated for green living, too. Their unique Juicy bags and panniers for example, such as the Toocan Juicy and Toocan Grassy, are not only eye-catching, but also eco-friendly and made from recycled juice boxes and grasses native to Vietnam. Also, proceeds from the sales of these products go to the non-profit organization, Money From Garbage, which helps employ women in the rural Philippines. We've also got the regular Toocan pannier; all bags in the Toocan series feature a large opening with zippered closure, and easy carrying handles that also serve as shoulder straps. A nother option for carrying your groceries or commuting gear on a rear bicycle rack is the sleeker Toto bag, which features a magnetic closure. We've also got Detours' durable version of the basic under-seat bag, know as the Guppy, in Medium and Large sizes in an assortment of colors. Finally, for keeping your wallet, phone, camera, and other essential items handy, we've got handlebar-mounted bags in stock in two sizes. The massive Cruiser is for people who want to carry everything including the kitchen sink on their rides. The tiny Mini Met is for the minimalist traveler. Both feature a quick-release bracket and included shoulder strap to make it easy to take either one with you when you step off the bike. For all of you who race in triathlons and other endurance events, there's even a frame top-tube-mounted Goodie Bag for holding your energy bars and gels! This season's Hot Deals for Cold Days continues with 50% Off of two perfect items to help keep your hands hot on cold days! We’re offering two great glove options from one of the top cycling accessory manufacturers for Hot Deal #2 -- perfect for you as the temperatures continue to drop or for a loved one as a stocking stuffer! Pearl Izumi Grip-Lite Gloves sport the excellent warmth and moisture management of Pearl's ThermaFleece fabric and feature long cuffs to keep drafts out. Silicone screening on the palms provides a great grip, too. The Grip-Lite Gloves are great used alone or as liners beneath (or even over!) other cushioned gloves on really cold days. Only $9.99 (regularly $19.99). Pearl Izumi P.R.O. 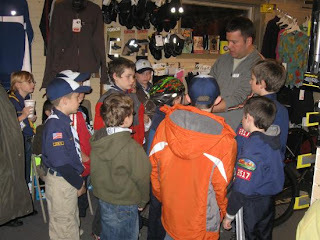 SoftShell Gloves are terrific when the temperatures drop below freezing. Their P.R.O. Barrier and AmFIB fabric blends offer excellent wind and water protection, while the fleece interior feels great against the skin and provides extra warmth. You'll love the silicone dotted palm that gives you plenty of grip on the handlebars and the neoprene wrist gusset that allows easy movement. Plus, the Softshells come with a soft microfleece wiping surface (read: built-in snot rag) and a hook-and-loop closure system for a customized fit. Only $22.49 (regularly $44.99). Hot Deal #2 is good only November 19 through December 2, 2009, or while supplies last. In-store purchase only; no online or phone orders accepted. No coupon necessary. When the temperatures dip below 50 degrees, it’s time to trade your fingerless gloves for long-finger gloves, as you strive to keep warm and limit skin exposure. Dress in layers, yet be sure not to overdress in cold weather -- you should feel a bit chilly for the first mile. Others advise that if you are warm for the first ten minutes of riding, you are overdressed. Sign up to receive a new Hot Deal for Cold Days in your Inbox every two weeks from now through February of 2010! The band 30 Seconds to Mars has released the music video for their song "Kings + Queens:"
"30 Seconds to Mars recently released this video which features members of LA’s Midnight Ridazz. 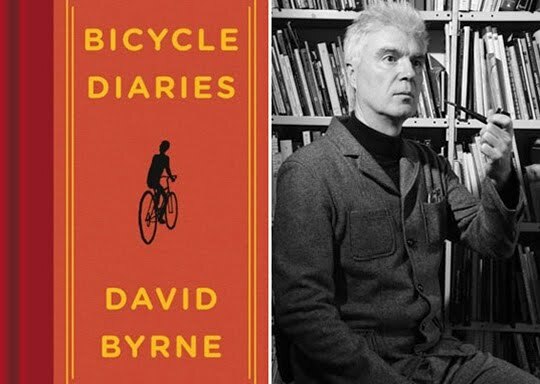 The song may not be your cup of tea...but the production quality is impressive and it’s good to see the growth of urban cycling continues to make an impact on the mainstream media." Click here to take our online poll! 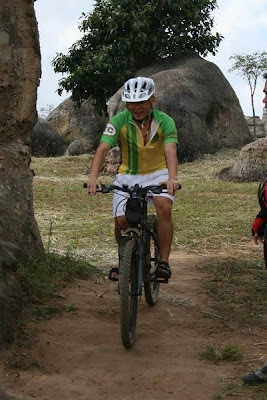 Our friend and Rocky River store customer James Quilty sent us a video earlier this year from a trip he took in Thailand with the Khon Kaen Mountain Bike Team. 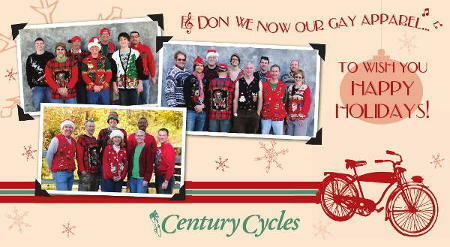 The video featured several scenes of team members in Century Cycles custom retro jerseys that James provided to them. 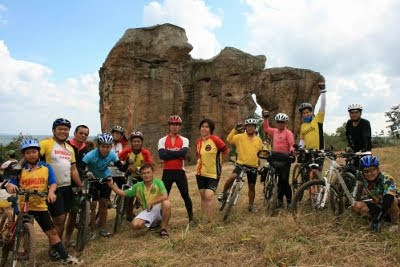 James sent us a few photos from a more recent trip that the team took to the Chayaphum region in Northeast Thailand. 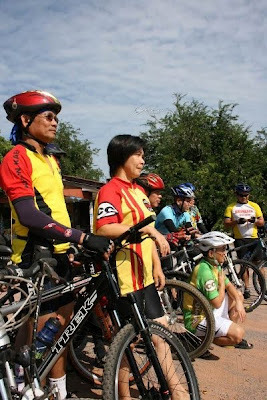 Check out more team members in their CC jerseys! Thanks again for the photos, James! 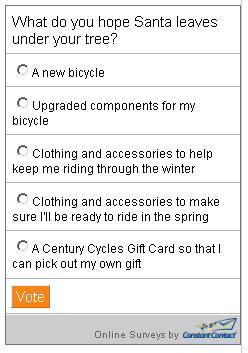 At Century Cycles, we're all about options. You want wide tires or skinny tires? You want bar-end shifters, or integrated brake/shifters? Do you even want brakes? We've got it covered. Now, we've got you covered even more when it comes to paying for your new dream bike. In addition to most major credit cards, personal checks, our flexible lay-away program, and good old hard cash, we now have an even more generous financing program. Introducing 6 Months Same As Cash, now twice as good as our measly old 3 Months Same As Cash program! That's right, you can take a new bike home today, plus all the accessories you'll need to go with it, and you'll have six months to pay for it without any interest or finance charges! How can we do this, you ask? Aren't we just a swell bunch of folks? Well, maybe we are, but really, you can thank the folks who run the program, who work out of a big office tower somewhere in Manhattan, or maybe it's in Sioux Falls. You take your bike, they promise to pay us for it, and you just gotta promise to pay them back. Sounds like a big pyramid scheme, right? If so, it's time you got a piece of the action, anyway. The only catch is that if you decide not to pay them back right away, you've gotta give the guys in suits a little bit of "hush money" every month. Signing up for this deal is pretty easy; you can even do it online by clicking on the "apply online" link on our Payment Options web page. Once you're approved, just print out your confirmation page, and stop into any of our stores and flash it in our face (try not to shove it too close; we're just as concerned about this whole flu thing as you are). The 6 Months Same As Cash financing option can be used to purchase any in-stock or special-order bike, or bikes, including any of our new 2010 models, our Fall Clearance Bikes, or order that new Surly you've had your eye on. Call it a rebate, call it economic stimulus, call it whatever you want--either way, it's money in your pocket! Now through the end of the year, Electra Bicycles is offering a mail-in rebate for any Electra bike purchased from your local authorized Electra dealer (e.g. Century Cycles). Buy any Electra Bicycle for $399.99 or more (excluding tax) and get a $25 rebate. Buy any Electra Bicycle for less than $399.99 and get a $10 rebate. There is no limit to the number of Electra Bicycles you can buy and the number of rebates you can claim within the rebate time period! The offer is valid on any Electra that we have in stock or that we can special-order for you, including the popular Townie bikes and kids' models! Whether you're shopping for gifts for the coming holiday season, or the dream ride for yourself, now is the time to buy Electra! 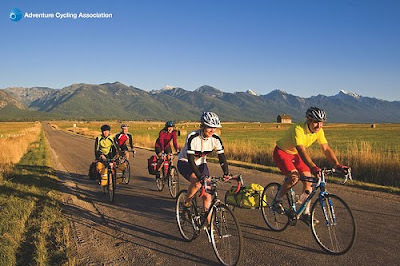 The Adventure Cycling 2010 tours roster is posted and ready for the reading. With more than 40 trips in nearly every corner of the country, ranging in duration from five days to three months, there's something for just about everyone. Proven adventures like the TransAm (both self-contained and van-supported), C&O Canal/Great Allegheny Passage, and Heart of the Underground Railroad are there, sure--but so, too, are some new highlights that you'll want to take a very close look at. In May, for instance, we'll be offering one of our relaxed format tours along Missouri's heralded Katy Trail, which is bound to be a popular trip. And we're adapting our North Rim of the Grand Canyon outing, originally a self-contained ride, into a van-supported trip, making this incredible adventure accessible to a broader range of riders. Or for something longer, you might consider the new self-contained Pueblos to Peaks, going from Santa Fe, New Mexico, to Boulder, Colorado. Click here, dig in, and start the dream machine. 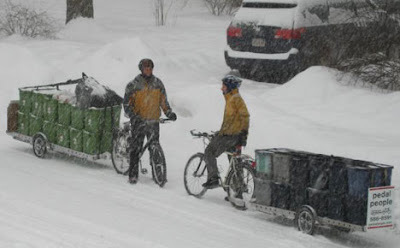 Recycling, freecycling, and upcycling, oh my: 9 pathways toward green "cycling"
Just like last winter, Patti The Buyer negotiated amazing 50% off deals on some of our most popular bicycling accessories and we're passing the savings on to you! We'll be offering a new Hot Deals for Cold Days offer every two weeks, now through February, along with a helpful tip o' the day. Hot Deal #1 is something we've rarely offered in our 18-year history at Century Cycles - a whopping 50% off the Blackburn TrakStand Ultra Trainer! That's a trainer for half price, folks, available in all three stores while supplies last! 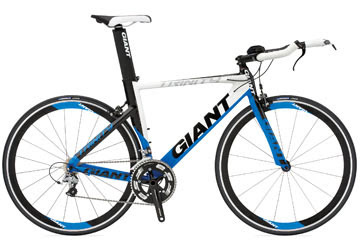 This product is perfect for the start of the cold-weather training season, when you want to bring your rides indoors. The Blackburn TrakStand Ultra Trainer is ultra smooth, quiet, and adjustable. Thanks to the ingenious Centriforce resistance unit, there's a smooth transition to coasting, and jerky dead spots are a thing of the past. Plus, with some simple disassembly, you can choose from 3 different resistance curves, so you'll be able to fine-tune the workout as you get fitter and fitter. And, you'll love the road-like feel of the sturdy aluminum frame, how quick and easy it is to mount your bike, and the convenience of folding this trainer for transport and storage. If you've been thinking of trying indoor riding, this is the trainer (and deal!) for you! Use your indoor training time to catch up on TV news or your favorite weekly sitcoms that you've recorded on your DVR. Maximize your workout with a structured training video from industry experts such as Cyclops and Velo Press or download a regimen available for free at many popular cycling websites. And remember: Trainers are not just for winter use--many racers take them along for their pre-event warm up, and stash them in their trunk just before heading to the starting line. You can sign up to receive Hot Deals for Cold Days by e-mail, as well as the Century Cycles Monthly eNewsletter. Click here to subscribe. Can you spare a Friday morning to join with other concerned cyclists for a review hearing of the Ohio Department of Transportation plans for the Innerbelt Bridge at the Cleveland Planning Department? ODOT says they will not provide bike and pedestrian access to the Innerbelt Bridge (unlike more than thirty communities across the country), although it would provide a dramatic, beautiful and practical connection to downtown Cleveland. ClevelandBikes has disagreed with them from the start and will continue to press for bike and pedestrian access. There is a rumor that ODOT is willing to expand the Abbey Avenue Bridge, which would still present safety questions (just as their earlier suggestion that cyclists and pedestrians could travel over through the flats). On Friday morning, Cleveland Planning Commission will hold a public hearing with ODOT regarding the design for the new Innerbelt Bridge. Please join us and let ODOT that you care about bike and pedestrian access on the new innerbelt bridge. While the first, overwhelming, preference is for you to attend the Friday Cleveland Planning Commission hearing to let ODOT know you like bikes and you want them to let you "Bike the Bridge" when they create a new Innerbelt Bridge, you may have other responsibilities. If you can't attend personally, please contact the City and ODOT to let them know you ride, you vote, you pay taxes and Ohio needs to join other communities around the country that are adopting transportation solutions that help promote healthy cycling and walking, not just riding a car -- "WE WANT TO BIKE THE BRIDGE!" Highland Community Health Fair and Bike Tour - Prize Winner! Thanks to everyone who turned out in Medina last weekend for the Highland Community Health Fair and Bike Tour on October 24-25. We were lucky to have good weather and a good crowd! 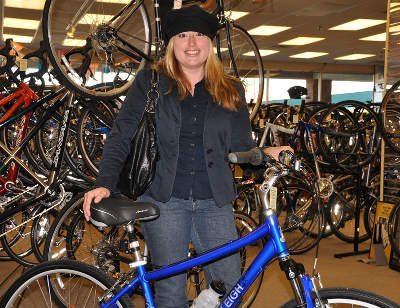 Congratulations to Jessica from Akron, who was the lucky winner of the drawing for a Raleigh Route 3.0 bicycle! PLEASE NOTE: Our Fall Hours are now in effect at all three Century Cycles locations. What this means is that we close one hour earlier on Fridays and Saturdays. We're still open seven days a week, and open late Mondays through Thursdays!